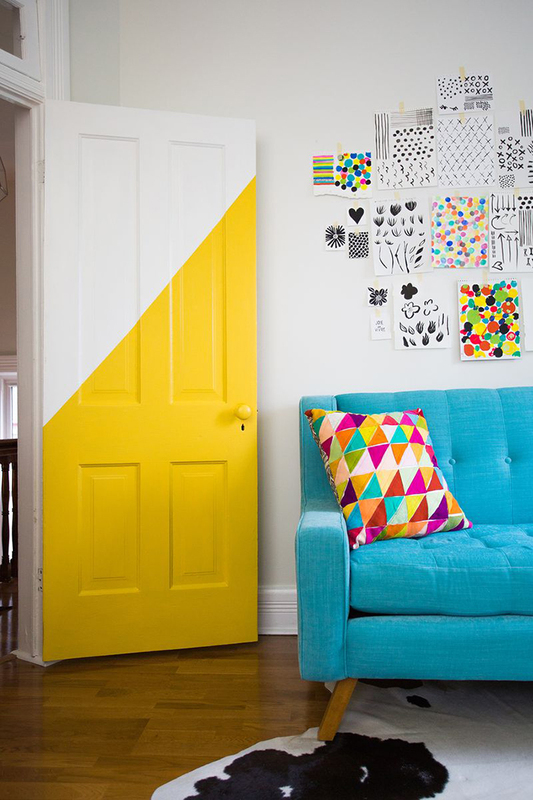 I’m so used to my plain boring doors, that I don’t even see them or considered them as a decor element. I was so wrong! 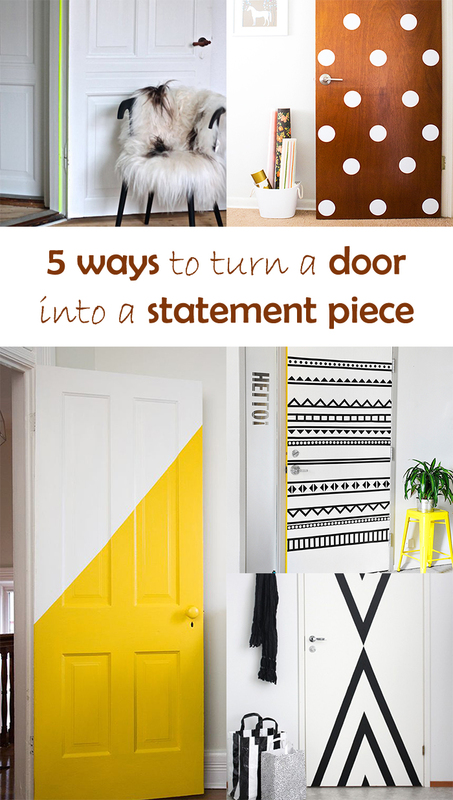 There is many options to give doors a nice twist with simple supplies. 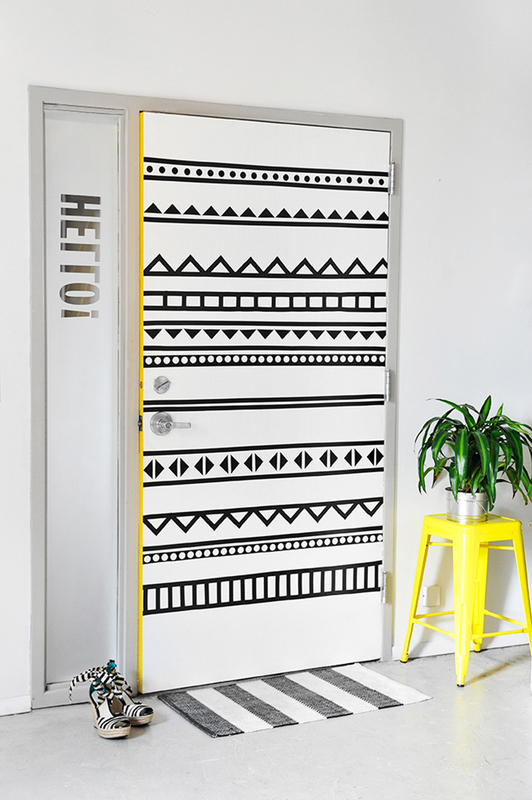 Those graphic and colorful doors were customized with vinyl, tape or paint! Nothing complicated or time consuming. 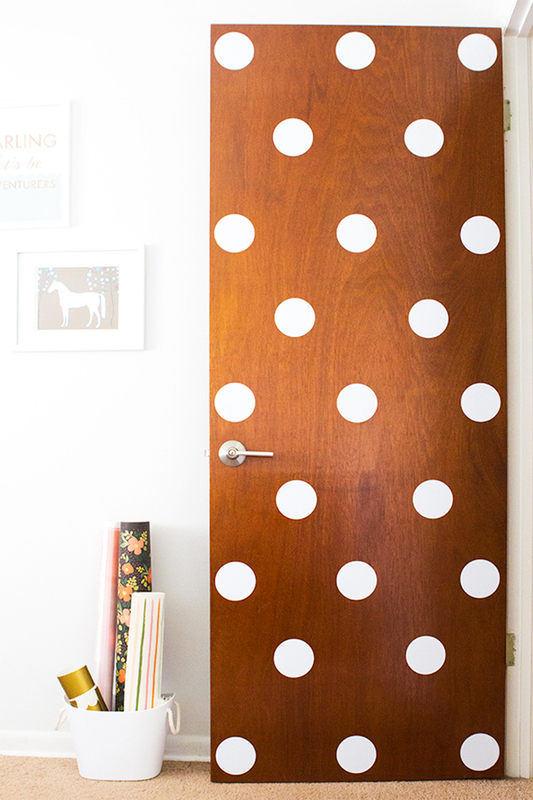 I will definitely consider some door customization in the future…I think I may start with a polka dot door for the kids room! Happy Monday! 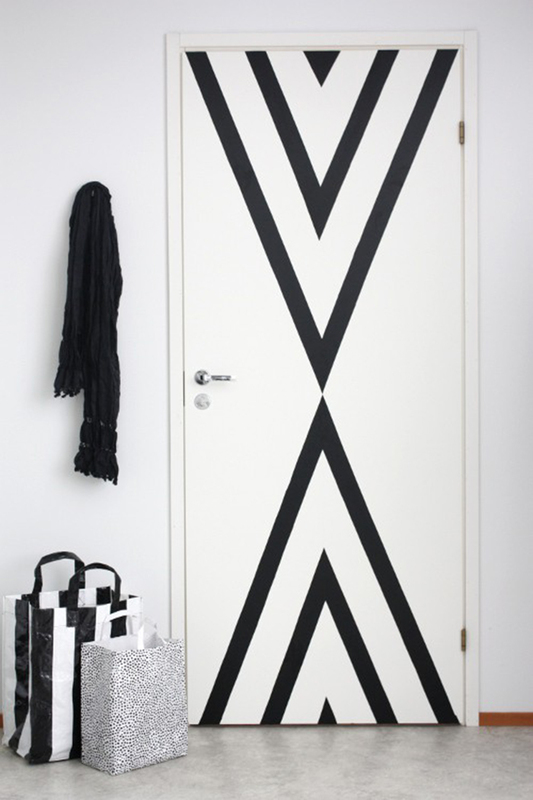 Hi i really love the door detail by Flair. Could you send me the link to the website where it originated from? Thanks! 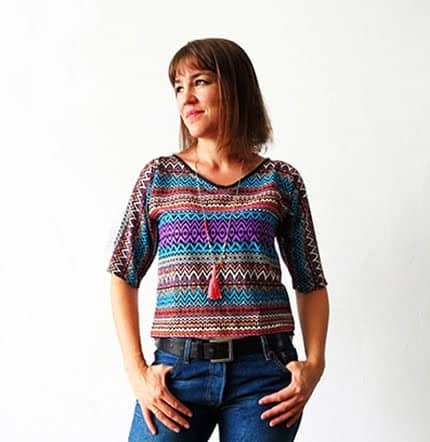 Hello, here is the link http://www.flair-blog.dk/?p=2181. You will find the links for each tutorial under the picture.